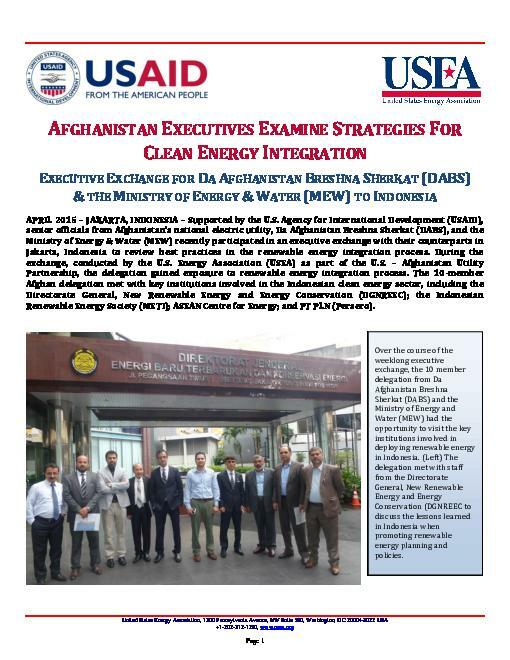 The United States Agency for International Development (USAID) Bureau for Economic Growth, Education, and Environment (E3) Energy Division supports the Energy Utility Partnership Program (EUPP) through a Cooperative Agreement with the United States Energy Association (USEA). EUPP promotes energy security, access to renewable energy and the transition to a cleaner global energy economy. 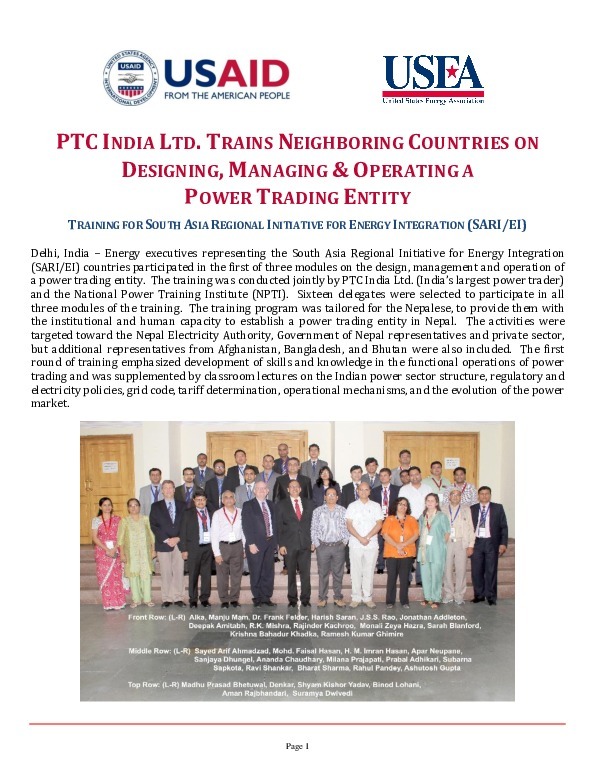 Strategic partnerships assist developing countries to increase energy security, expand environmentally sustainable energy production and use, improve operational efficiency and increase financial viability of utilities and related institutions. 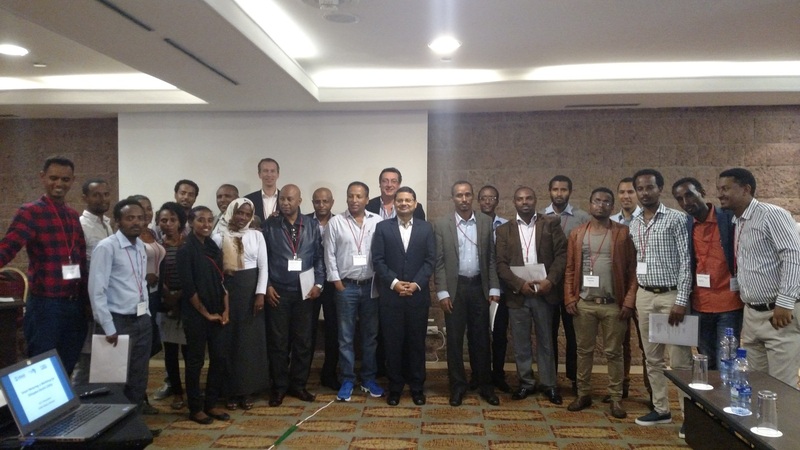 The program enables emerging markets to access U.S. public and private sector expertise and technical assistance. 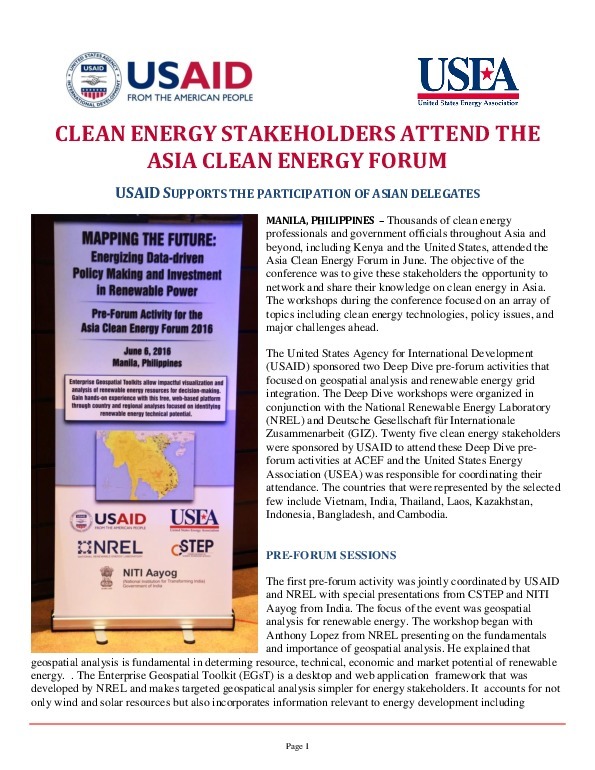 The EUPP, in consultation with USAID, facilitates strategic partnerships between U.S., third country and developing country partner utilities to share best practices. Typically, a partnership is established for a two-year period, in which 3-4 executive exchanges are made per year, divided between the U.S. and overseas partners. 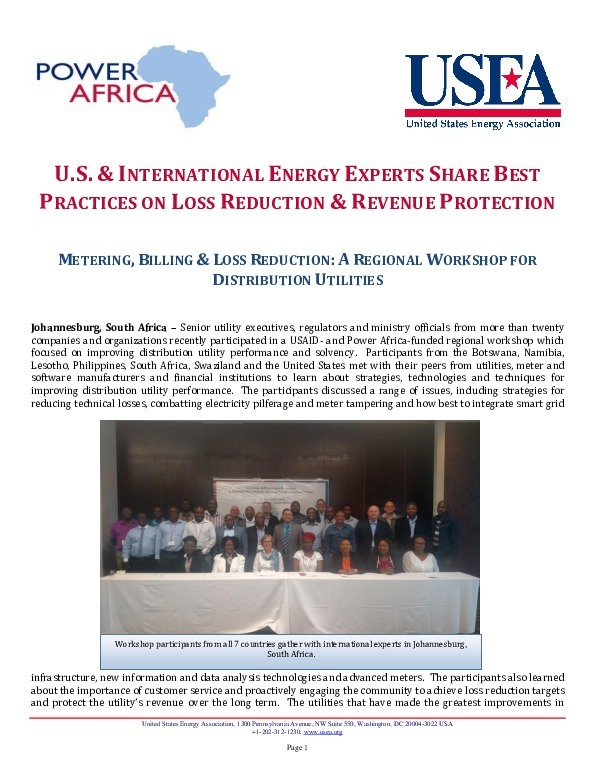 Once partners have been selected, the participating organizations will execute a work plan of activities to address priority objectives of the non-U.S. utility and the interests of the U.S. utility partner. Three or four specific issue areas will be identified and addressed during the partnership. Technical exchanges between partners are the principal activities of the partnership program. EUPP can support a wide variety of operational, policy & technology executive exchanges. 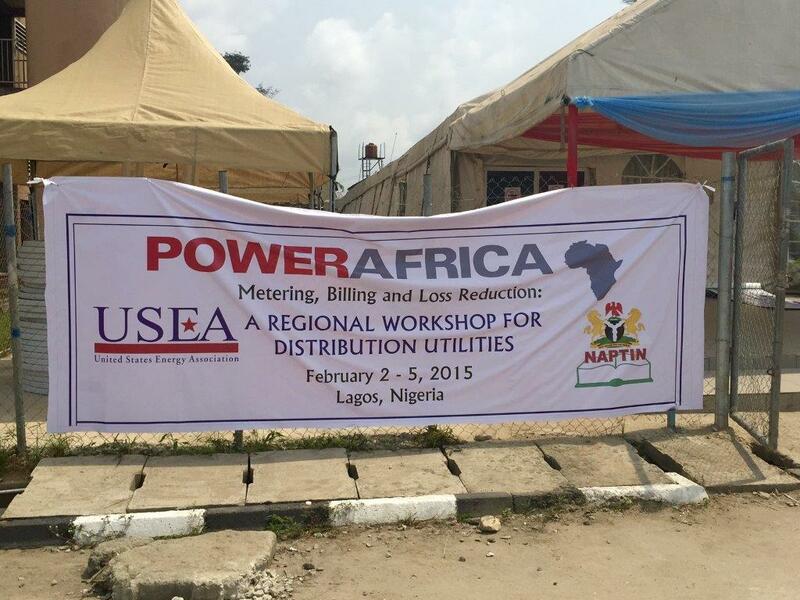 Partnerships between U.S. and developing country partner utilities identify specific objectives that directly support the goal of USAID to promote the transition to a low-emission, climate resilient world while expanding global access to sustainable energy. For more information on the EUPP, please click here to contact Marjorie Jean-Pierre.